Past Due Records is proud to officially reissue the 9th Creation’s essential full lengths and singles, carefully remastered and all in their original artworks. 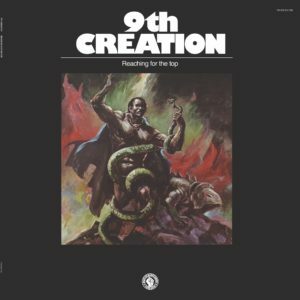 Second masterpiece from 9th Creation, “Reaching for the top” was initially released on Prelude records in 1977. A huge step up from “Bubble Gum”, this album dives into disco, funk and gospel funk. Another classic, reissued for the first time ever.